Kamusta Pilipinas! 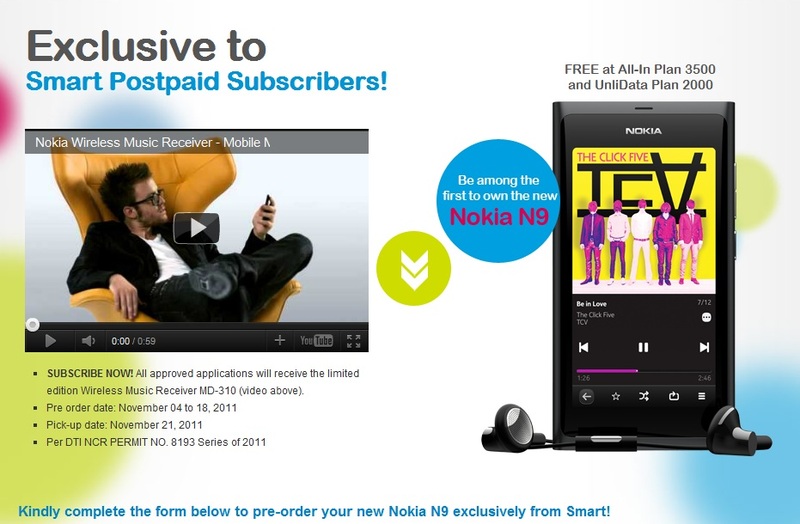 Folks in the Philippines are now able to pre-order the Nokia N9 in the Philippines. This handset is exclusive to Smart. Philippines was one of the countries we saw added to the N9 availability list, and here it is now officially in the Philippines. You also get a MD-310 – ignoring the awful name, it’s actually a very useful wireless music receiver, so you can turn any stereo to receive songs played back from the phone. PLUS it’s via NFC, so it’s even simpler pairing. During one of the audio Q&A sessions, we were told in direct line of site this has a connectivity distance of 170 METRES. Thanks @arvi06, @ph_eagle and everyone else for the tip!